There are no big secrets to getting rich being an entrepreneur. There are no shortcuts. The trick is to fall in love with being a founder and dedicate yourself to the craft for 20-30 years. If I haven’t scared you off yet, keep reading. But a Craftsman Founder has different motivations and a different timeline. 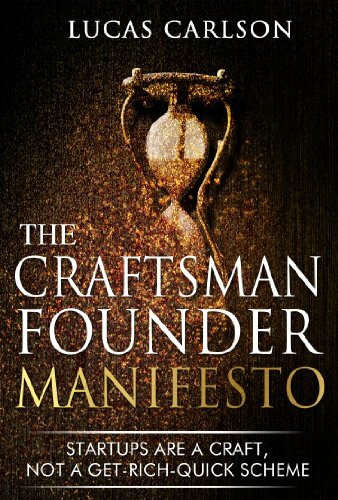 A Craftsman Founder is driven by a different beat than a Startup Founder. Craftsman Founders are not doing startups out of a love of money, they are doing it out of love of the Craft; they could work for 20 years doing what they do. Who are you? What are you made of? A common startup founder? Or maybe a rare craftsman founder? If you are still not sure, read this short book.